Buoyed by my experience of better than average dumplings at Dream Dumplings and chic Asian fusion brunch at The Penny Drop, I thought I'd be brave and see what else Box Hill has on offer. A quick Google told me that Ichi Ramen was a spot for good ramen eats. 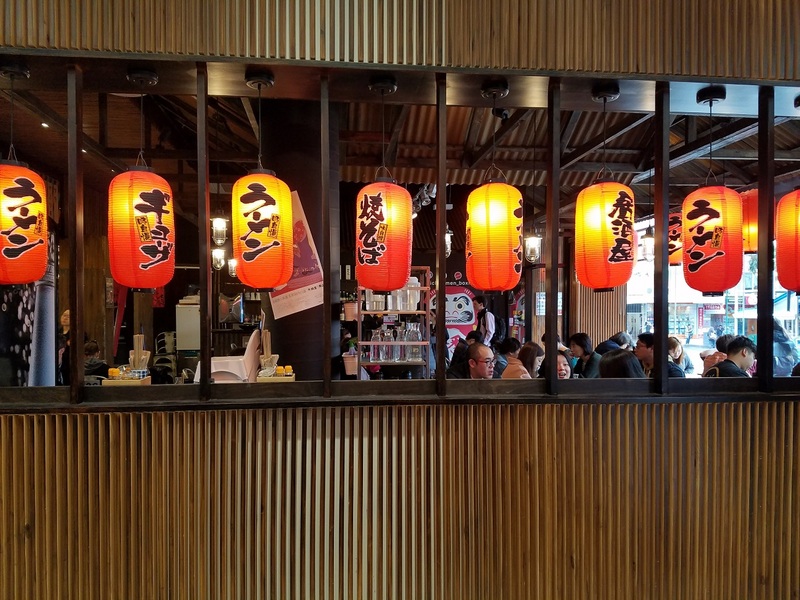 Located on the exterior-facing side of the old part of Box Hill Central, Ichi Ramen looked popular among the lunchtime diners. For starters, the Lawyer and I shared some deep fried calamari. These were lovely and tender and nicely seasoned. 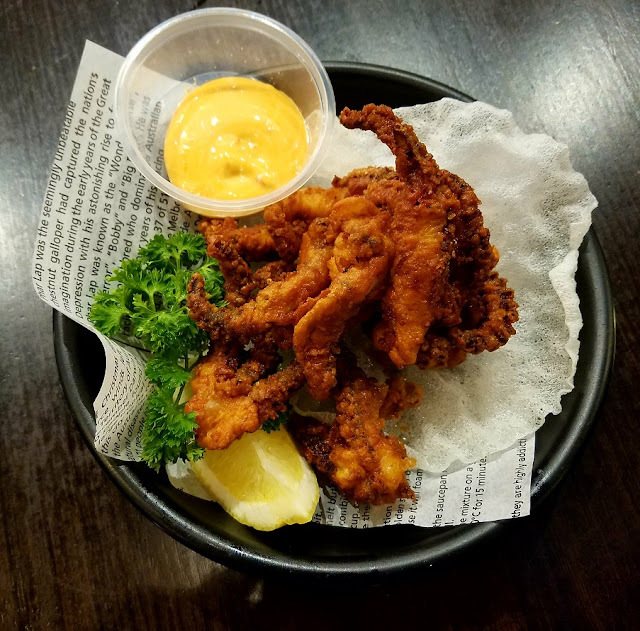 However, I wasn't too impressed with the overly burnished hue of the batter - using some fresh(er) oil to cook the calamari would have made this dish much better. I'm always a bit leery of places that re-use their cooking oil to such an extent that it's obvious in the dish. 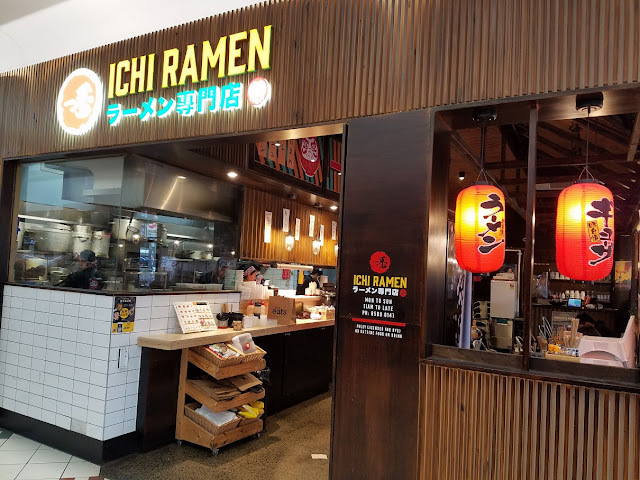 I'm an advocate for waste minimisation in the kitchen but this is distinct from cost minimisation, which is what I suspect Ichi Ramen is doing. 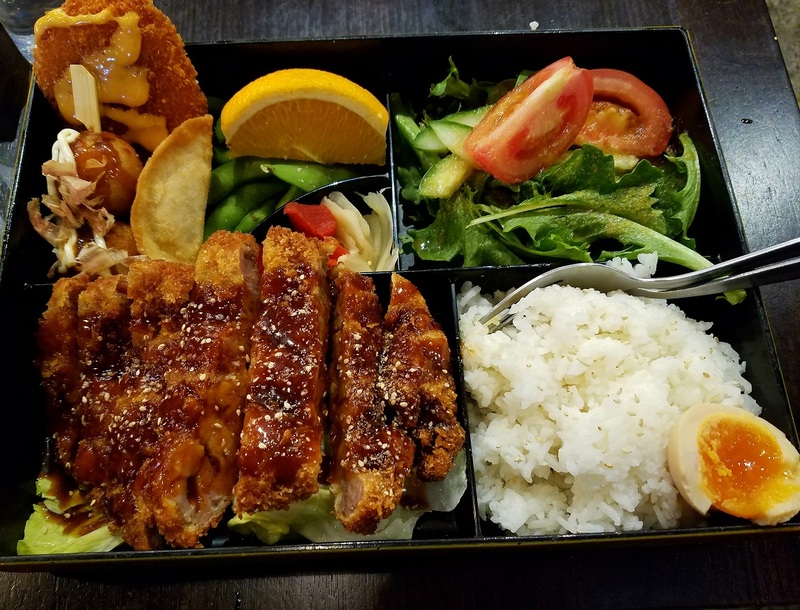 My suspicions were, sadly, confirmed when I got my pork katsu bento box. While generous in proportions, the quality was lacking. The first thing I spotted that looked a bit off was the soft boiled egg. Here is a close up of the egg. I don't know about you, but that ain't appetising! Parts of the egg white were missing. 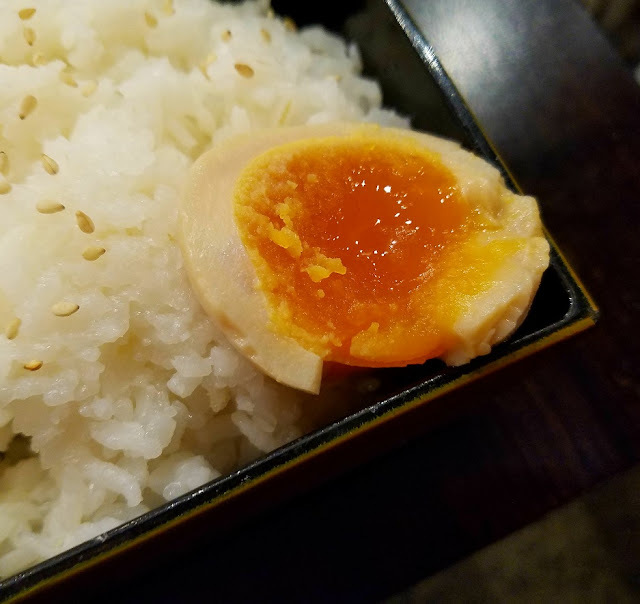 It looked like it was cut in half by someone who didn't know how to use a knife (what's with the jagged edges... how hard is it to cut a boiled egg?). Most disturbing of all was the yolk - there were two textures. Bits of it looked like it was over-cooked while the rest was soft and gooey... how is that even possible in a boiled egg? I briefly considered asking the staff to take this back into the kitchen but I thought, what's the point? If the kitchen thought this was good enough to be served to patrons then I know it'd be a losing battle to convince them why I wasn't going to eat this egg. The rest of the bento box wasn't much to write home about. The pork katsu had a nice crisp crust but the actual meat was not the best I've ever eaten. The meat was gristle-y in texture and just wasn't a nice juicy piece of pork. It was a far cry from the gloriously delicious pork katsu at Gypsy & Pig in the city or even the punches-above-its-weight food court eatery Rice Workshop. The rice was lukewarm. The salad, while reasonably fresh, had watery tomatoes. There was a good amount of edamame beans (I'd say this was the best part of the bento box). The fried gyoza, takoyaki and potato hash were unexceptional. 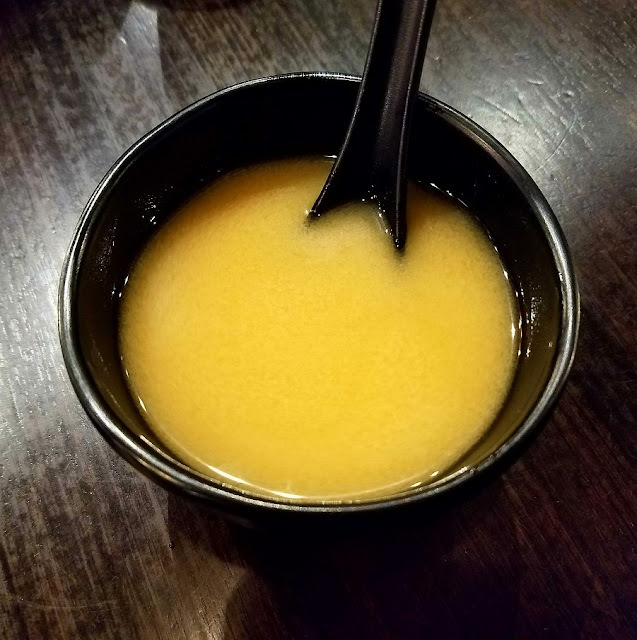 The bento box also came with miso soup. The Lawyer's ramen fared better. It was good but nothing exceptional. Yeah... 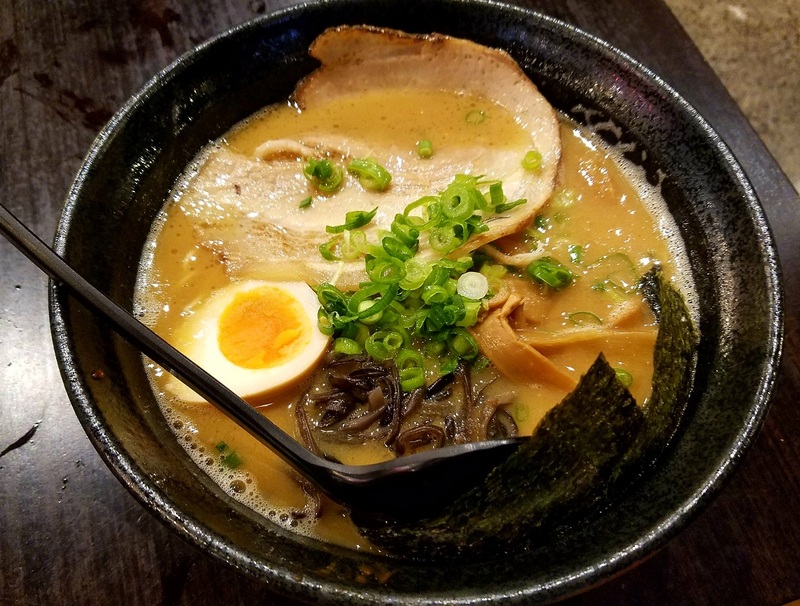 I can't say I'll be heading back to Ichi Ramen. And my experience there has more than likely ended my recent foray into Box Hill. So au revoir Box Hill - it'll be another six years before I come back.